Laverne Cox Bio, Twin Brother – M Lamar, Boyfriend, Is He a Transgender? We are learning more about embracing the different identities that exist in our world today. For those who are in the minority of these identities, the battle for inclusion and acceptance is a lifelong struggle. When these minorities not only survive these battles but triumph, it is a thing of joy and one worthy of celebration. One of those leading the pack of the triumphant is Laverne Cox, first openly transgender person to be nominated for an Emmy. Laverne Cox is an American actress and a prominent LGBT advocate. A transgender herself, she rose to prominence with her role as Sophia Burset on Netflix’s hit series, Orange Is the New Black. Born in Mobile, Alabama, she was raised by a single mother and grandmother within the AME Zion church. Laverne Cox has an identical twin brother, M Lamar, who portrayed the pre-transitioning version of her character in Orange Is the New Black. Having been exposed to the discrimination that comes with her identity at a young age, the actress once stated that she attempted suicide at the age of 11 when she noticed that she had developed feelings about her male classmates. She had also been bullied for several years for not acting the way someone assigned ‘male’ at birth was supposed to act. Laverne is graduate of the Alabama School of Fine Arts in Birmingham, Alabama where she studied creative writing before switching to dance. She then further studied at the Indiana University Bloomington for two years before making a transfer to New York City’s Marymount Manhattan College, where she switched to acting, which would eventually lead her to stardom. In case you were wondering if Laverne Cox is a transgender actress, the answer is yes. Throughout her career, she has been a trailblazer for the transgender community. Over the years, she became the first transgender person to be nominated for a Primetime Emmy, to be on the cover of Time magazine, to win a Daytime Emmy as an Executive Producer and have a waxwork in Madame Tussauds. Her activism and spreading of awareness of the rights and discrimination of the transgender community have led to a growth in the conversation about transgender people, especially transgender women. The right of those discriminated against starts from them being seen as normal people and there is no better path to inclusion than letting them reach the heights that heteronormative people have reached. Thankfully, Laverne Cox has reached those heights on multiple occasions. Laverne Cox’s Hollywood career started when she was a contestant on the first season of I Want to Work for Diddy, after which she was approached by VH1 about show ideas. It was from this search for ideas that the makeover television series, TRANSform Me, came to be. It made the actress the first African-American transgender person to produce and star in her own TV show. Both shows, I Want to Work for Diddy and TRANSform Me were nominated for GLAAD media awards for outstanding reality programs, and when I Want to Work for Diddy won the award in 2009, she accepted the award on the show’s behalf. Before starring in her breakout role in Orange Is the New Black, Laverne Cox appeared in a number of TV shows and films such as Law & Order: SVU and Musical Chairs. When she started her first season on Orange Is the New Black (OITNB), she was still working at a restaurant on the Lower East Side as a drag queen. Laverne’s role on the show provided her with a platform to speak on the rights of trans people and she has used it with great impact. Laverne Cox’s popularity and regular appearance on the hit TV show – Orange Is The New Black ensures her income stream is pretty high. The actress currently has a net worth of $2 million, which should not be seen as a paltry amount, especially when considering how hard it is for transgender actresses to find work. 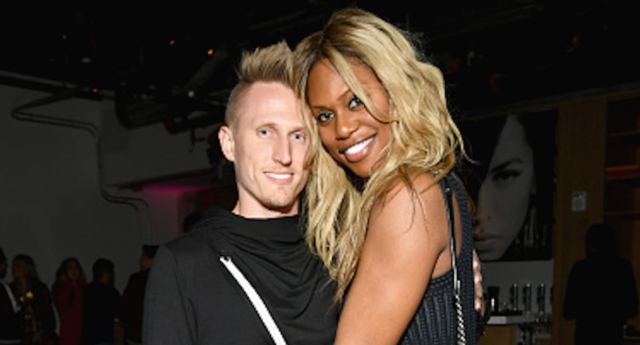 Laverne Cox is currently in a relationship with Kyle Draper. The couple met on Tinder and have been going strong ever since. Kyle, who is the CEO of a record label called Mateo Sound, also founded the real estate firm Serene Team and is also the regional director of the real estate company – Keller Williams Downtown. The young entrepreneur has been very overt about his love for the actress, with both parties having met each other’s families. Contrary to rumors, Kyle Draper is not transgender and it makes their love a whole lot purer. As previously mentioned, Laverne Cox has a twin brother – M Lamar, who is a New York City-based composer, musician, performer, and all-around creative artist. His work has been praised by several news outlets including The New York Times. M Lamar Studied painting at the San Francisco Art Institute and attending Yale for graduate school in sculpture before dropping out to focus on music.